Successful and interesting as long as you accept that there isn't going to be much in the way of narrative here On a typically grey day in England, a young boy decides that school is not the place to be and heads out on his bicycle to hang around. He travels around the boardwalks, beaches, shops and closed fairgrounds of the town while we are allowed to listen to his inner thoughts as he wanders both physically and mentally. Written and directed by Ridley Scott in his first short film and starring his brother, mother and father. 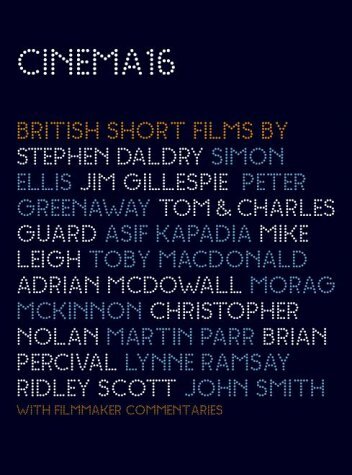 Available on a DVD containing all manner of UK short films, this short was the first one I watched because I was curious to see an example of Scott's work in order to see if I could see the potential that had eventually led him to Hollywood. Visually I could see it. The film has plenty of shot framing and attention to detail that show Scott had a good eye for a shot, but not just for the sake of it. Many first shorts struggle because they are too obvious with tonnes of arty and clever shots which do not add to the film but rather just stand out as showmanship. However Scott doesn't fall into the same trap and I must admit that I was impressed by how he managed to be both visually interesting without detracting from the main story. However the main story is not so solid that it can really be detracted from that much. We don't sure much have a narrative as we do a day out in the mind of a teenage boy. It is hardly ground breaking stuff but it is refreshingly free of teenage soul searching or stuff like that , no Tony's thoughts are more general wonderings and wanderings as he strolls around the place. It is maybe just as well that the dialogue is less important than the other aspects, because I personally found some of it quite hard to make out due to a mix of an average transfer and Tony's thick accent. Despite his accent, Tony comes across natural enough and maybe his brother being the director helped him just see it as a bit of fun, relaxing him. Overall this is not a perfect short film by the standards that I apply to them. There is little narrative and the dialogue and performance is natural but a little dull and uninvolving. However what it does do is show the young Ridley Scott's comfort behind a camera and a seeming natural eye for a well framed shot and an attention to detail within his shots, he manages to deliver clever shots without taking away from the rest of the film. An interesting and enjoyable short film that is only made more interesting by the eventual careers of the two brothers.